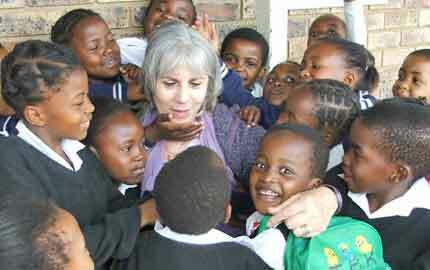 The South African Union for Progressive Judaism’s mission is to promote Progressive Judaism in South Africa and espouse its traditions and practices while advocating Jewish values. The SAUPJ is the national representative of Progressive Reform Jews in South Africa and it protects Progressive Reform Jewish interests in the South African community. The organisation provides moral, physical and financial assistance to existing Progressive Reform Jewish congregations, communities, associations and organisations in order to ensure their preservation and enhancement; and supports Progressive Reform Jews intending to establish any such congregation, community, association or organisation. The SAUPJ is committed to promoting and strengthening Progressive Reform Jewish youth activities; Jewish education, both among children and adults; and the principles of non-discrimination in South Africa. 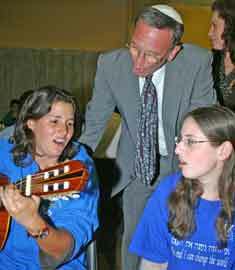 In addition, the SAUPJ provides financial assistance to prospective or actual Rabbinical students; to Progressive Reform Jews belonging to member congregations and associate bodies, who wish to study and/or train in religious educational or administrative programmes locally or abroad; and to Progressive Reform Jews to attend conferences locally or abroad. The SAUPJ promotes and encourages liaison with all other Jewish organisations in South Africa for the advancement and security of the Jewish community. The National Executive of the SAUPJ comprises a Chairperson, two Vice-Chairpersons, a Treasurer, the President of the South African Union of the Temple Sisterhoods (SAUTS); the Chairperson of the Southern African Association of Progressive Rabbis (SAAPR); the Rosh of Netzer (youth movement), the past President, Chairperson or Vice-Chairperson and the Executive Director. The members of the SAUPJ include Temple Israel in Cape Town (Green Point, Wynberg and West Coast); Temple Israel in Port Elizabeth; Temple Hillel in East London; Temple David in Durban; Bet Menorah in Pretoria; Temple Israel, Bet David and Beit Emanuel in Johannesburg; the South African Union of Temple Sisterhoods (SAUTS); the Southern African Association of Progressive Rabbis (SAAPR) and Netzer South Africa. Arzenu South Africa is an associate member of the SAUPJ. Arzenu is the umbrella organisation of Progressive Reform Zionists. It was founded in 1980 as an “ideological grouping” or Brit Olamit within the World Zionist Organisation (WZO). Arzenu has constituent groups in 10 countries and represents the interests of these groups and of Progressive Judaism worldwide in the governing bodies of World Zionist Organisation and in the Jewish Agency for Israel. Arzenu South Africa is active on the South African Zionist Federation council and plays a role in all its deliberations. Professor Antony Arkin, SAUPJ vice-chairperson for KwaZulu-Natal, is the current president of Arzenu South Africa.